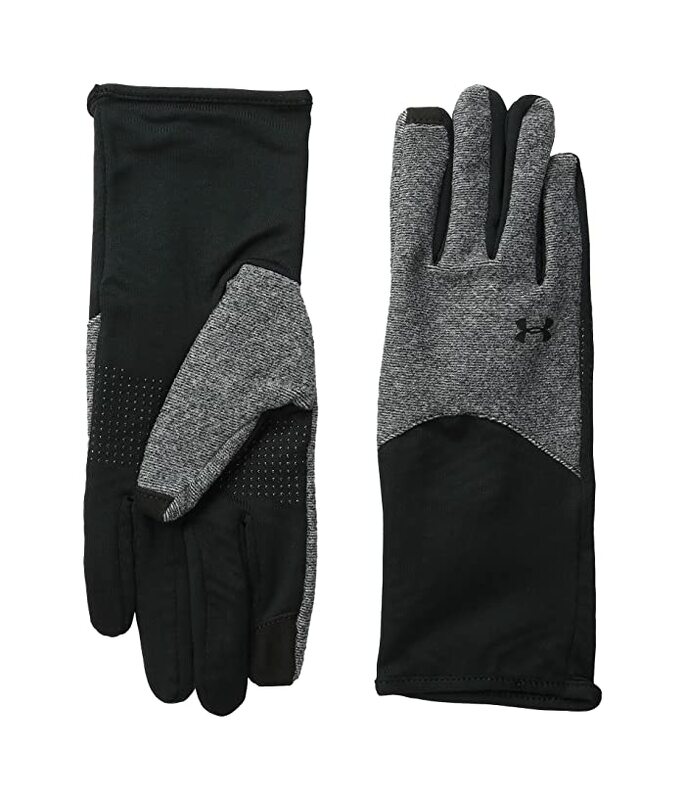 Keep cozy with the Under Armour® Survivor Fleece Glove. Low-profile glove with short-cuff silhouette. ColdGear® Infrared micro fleece uses a thermo-conductive coating on the inside that holds heat without adding bulk. Softshell panel over knuckles increases durability. Tech Touch material at fingers for smartphone use. 87% polyester, 13% spandex; 100% polyester back of hand.